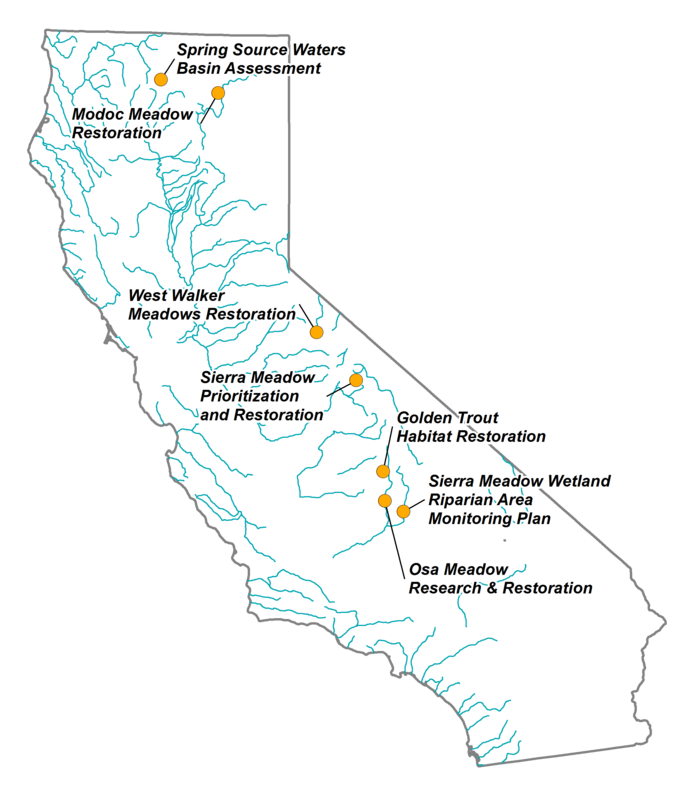 Key Initiative: Steward Source Water Areas | California Trout, Inc. Ensure water security for fish and people by protecting and restoring our vital source water areas-the greater Mt. Shasta area springs and high Sierra meadows. Water is the lifeblood of California, fueling one of the most productive agricultural regions in the world, supplying drinking water for communities and sustaining diverse rivers and the species that depend on them. California’s prominent source water areas, the Sierra Nevada mountains and the greater Mt. Shasta area springs need restoration and protection. 40-60% of high Sierra meadows are degraded. When healthy, meadows store water like a sponge and release it gradually, over the warm dry summer months. Unhealthy meadows lack this storage capacity. 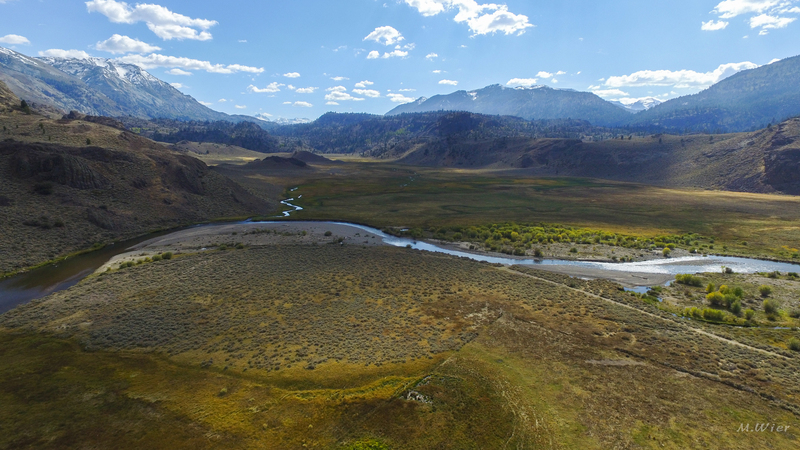 Restoring meadows not only increases water storage for people, but also protects wild trout streams like Hot Creek and Owens River. The Mt. Shasta area spring rivers, some of the most iconic wild trout waters, are fed by ancient underground aquifers and offer a steady supply of cold, clean water. However, we don’t fully understand them. And you can’t protect what you don’t know.